Hyderabad-based ed-tech startup IndigoLearn has raised $150,000 in a seed funding round from a group of angel investors based in India, the US and Europe, a company statement said. Maheshwar Peri, founder and chairman of career information portal Careers360, and Jamshed Jeejeebhoy, director at Byramjee Jeejeebhoy Pvt. Ltd were among the angels who participated in the round. The startup will use the funds to expand its student base, launch new products and develop its product and content, Sriram Somayajula, co-founder and chief executive of the startup, said in the statement. 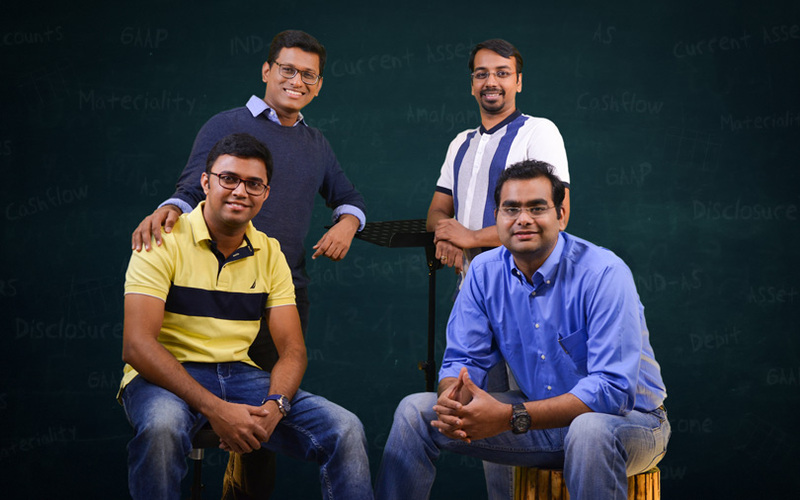 IndigoLearn Edu Pvt Ltd, was founded in 2017 by Somayajula, a finance professional; chartered accountants Sathya Raghu Mokkapati and Suraj Lakhotia; and BITS Pilani engineer Sarat Velumuri. Prior to setting up IndigoLearn, Somayajula, a chartered accountant and ISB Hyderabad alumnus, led the finance function at furniture e-tailer Furlenco. His earlier stints include Coromandel International Ltd, which is part of the Murugappa Group, BNP Paribas and Agro Tech Foods Ltd.
Lakhotia’s prior stints include oil and gas company Bharat Petroleum and Singapore-based commodity trading company Trafigura. He also assists international students pursuing chartered accountancy in the US and UK through the Astranti Financial. At IndigoLearn, he is the head of content. Velumuri, who heads technology and product development at the startup, earlier worked with software services firm Infosys, IT consulting and software services firm Tetrasoft India, and mobile app development firm Kony Labs. Mokkapati, who is director and lead faculty at IndigoLearn, has worked with PriewaterhouseCoopers earlier and is an Aspen and Acumen Fellow. The company provides e-learning solutions through byte-sized modules and visual-content to students and professionals in accounting and finance. It has a visual effects team from Hyderabad-based Thunder Studios, which undertook movie projects like Baahubali. In the next 12-15 months, the startup will launch learning modules for other global professional courses and for students of classes 11 and 12. “There is a dearth of quality players in this space. I see good potential for players like IndigoLearn. With their student-focused approach and high-quality content backed by extensive use of technology and analytics, IndigoLearn can substantially improve learning outcomes for the students,” Peri said in the statement. In last 12 months, the company claims to have helped over 5,000 students across the country to prepare for their CA examinations. “Our pass percentages are 50% higher than the average and we have tens of rank holders amongst our students, including all-India first rankers. Students want us to launch modules for additional subjects quickly,” said Somayajula. Last month, Buddy4Study raised $3 million (Rs 20 crore) in Series A funding from existing investor CBA Capital, which is backed by the Michael and Susan Dell Foundation (MSDF). In February this year, ed-tech startup Toppr raised $100,000 (Rs 65 lakh) as part of an extended Series B funding round from Hong Kong-based early-stage investor Axis Capital Partners. Around the same time, CollegeDekho raised $2 million (around Rs 13.2 crore) in its third round of funding from London-based Man Capital LLP, Girnar Software and other investors. A number of ed-tech deals were made in January this year. Bengaluru-based iNurture raised Rs 28 crore ($4.4 million) in a Series C funding round led by Ventureast. In the same month, AEON Learning Pvt. Ltd raised $3.2 million(Rs 20.43 crore) in a Series B round from MEMG Family Office LLP. Bangalore-headquartered CollPoll, which runs a communication and collaboration platform for educational institutes, raised pre-Series A funds led by Manipal Global Education Services (MaGE) and a few other individual investors. Pune-based ed-tech startup Rubix108 Technologies secured $1 million (Rs 6.5 crore) in a pre-Series A funding round led by Polaris Fund. *The article incorrectly stated that Thunder Studios is based in the US. The company is located at Hyderabad.